In its preparation of men for the priesthood, Holy Apostles Seminary is committed to providing solid formation in all aspects of seminary life, in accord with the directives of the Catholic Church. It is guided by the norms established by the Holy See, notably in the Apostolic Exhortation of Pope John Paul II, Pastores Dabo Vobis (1992), and by the norms established by the American Bishops in the Program of Priestly Formation. The theology program consists of eight semesters of seminary residence, incorporating the four areas of priestly formation as articulated in the Apostolic Exhortation Pastores Dabo Vobis. The human, spiritual and pastoral formation of candidates for the priesthood has many facets. Disciplined study of theology nourishes a deeper love and stronger possession of faith. The human potential of each candidate must be developed so that each grows in the pastoral skills and personal qualities, including psycho-sexual maturity, which every priest must have in these complex times. Each seminarian has an individual Spiritual Director in the internal forum and a Priestly Formation Advisor in the external forum, as well as access to professional counselors experienced in the formation of priests. The Spiritual Directors and Priestly Formation Advisors give guidance for spiritual, human and pastoral development within the context of prayer and grace though the sacraments, and the living of a generous Christian Life. Seminary life is nourished by daily celebration of the Holy Eucharist, community celebration of the Liturgy of the Hours, personal prayer, spiritual reading, meditation, Eucharistic adoration, praying the rosary, and frequent use of the Sacrament of Reconciliation. Weekly conferences by the Rector or his delegate as well as supplemental workshops focus on the spirituality of the priest, living a chaste celibate life, instruction on prayer, etc. The faculty provides an excellent academic program suited to meet the complex circumstances of our time. The theological program consists of 134 semester hours, of which 90 semester hours are normally applied to the M.Div. Degree. This is consistent with the norms of the Program for Priestly Formation of the National Conference of Catholic Bishops. A formation team serves growth toward human maturity in the important qualities needed for leaders in the Church today, especially chaste celibate living. In certain instances, this team will be assisted by counseling professionals. The Spiritual Director, under the guidance of the Rector, shapes a rich spiritual program which nourishes the entire seminary program. A variety of pastoral courses and field education placements enables the seminarians to acquire pastoral skills needed to serve the Church effectively today. The Field Education program seeks to develop pastoral and liturgical skills in each seminarian through closely supervised ministry in urban and rural parishes, schools, retirement homes, hospitals, and state correctional facilities, and through theological reflection on these ministries. The intent is that pastoral concern thoroughly penetrate the entire training of seminarians, so they will personally identify with the apostolic mission of the Catholic Church. The manual labor program seeks to develop a generosity of response to whatever tasks need to be done for the common good. Priests are to be “cheerful givers” when presented with the opportunity to “wash the feet of others.” If a seminarian can be a servant in small tasks, he will give generously in future ministry. The Rector together with the Formation Team annually evaluates each seminarian’s growth in his embrace of a chaste celibate life and in his performance in all components of the seminary program. 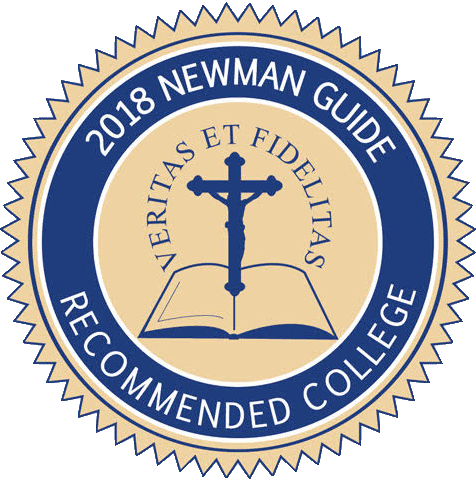 The report consolidates evaluations by members of the faculty, the Priestly Formation Advisor, and the seminarian’s own evaluation of his progress in achieving the goals he sets for himself each year. This confidential evaluation is reviewed with the seminarian and is available only to his sponsoring bishop, vocation director or religious superior.